A host of features to support insights that matter. Set your goals—and reach them with daily e-mails and a progress bar. 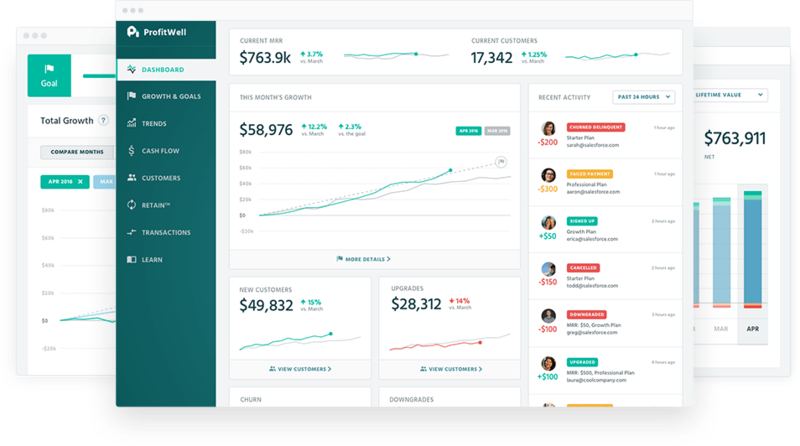 See trends for MRR from new customers, existing customers, upgrades, downgrades, and churn. Discover high-performing plans. See MRR, LTV, customers, and ARPU across each offering. 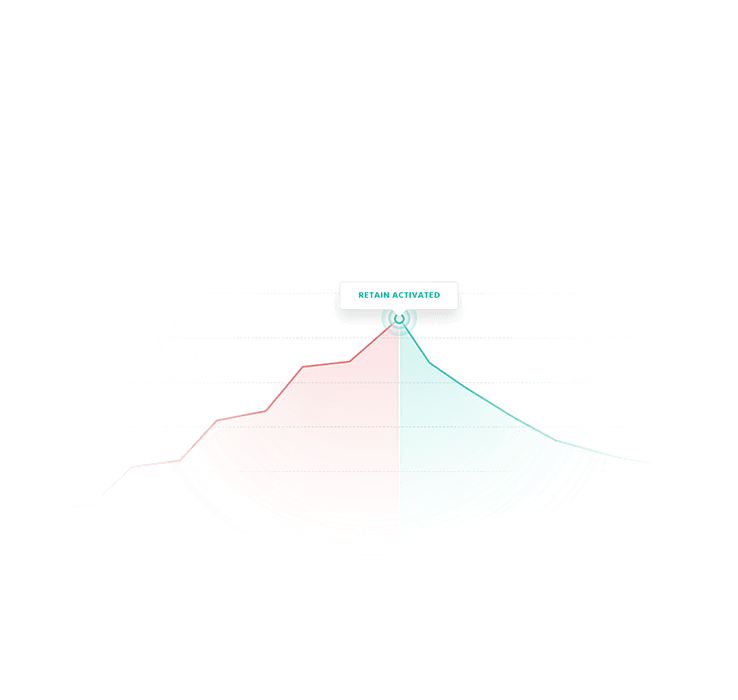 Cohort reports help you visualize how revenue and customers stay over time. Understand how annual subcriptions, refunds, and fees impact your overall cash flow. Ask us about any growth challenge, get a detailed description of each metric, and why it matters. RetainTM dramatically lowers your churn by combining world-class subscription expertise and algorithms to win your customers back. Complete end-of-month books in 1-click. Close your books with the click of a button. Since we’re integrated with your billing system we ensure 100% accuracy. Peter Coppinger CEO at Teamwork At Teamwork, we find ProfitWell to be an essential tool that we use daily to stay on top of all our key financial metrics. We have found the reports to be very insightful and have replaced a whole suite of home-made reports with this awesome tool. We can't recommend it enough. See all of your Stripe subscription analytics in one place.